We all get pissed when we see “MOBILE NETWORK NOT AVAILABLE” while making a call to someone. Now in many of the cases, the problem get resolved in a few tries of making calls or by moving a few steps here and there. But there might come a situation when the issue doesn’t fade away, and that’s where you need us. In a situation when you are not able to get rid of this issue of a mobile network not available you gotta try something else rather than just moving your entire body from one place to other. First and the foremost thing that you should do to resolve this issue is to switch your phone off and restart it. Try removing and inserting your device’s battery as well that might add a bit help too. If it does not work out on the first try, try it a couple more times. If the issue persists, then stop restarting your phone and try the next method. The next method is a bit technical, so you better pay your full attention while reading this. Open the Device Settings application. Go to Wireless and Networks section. 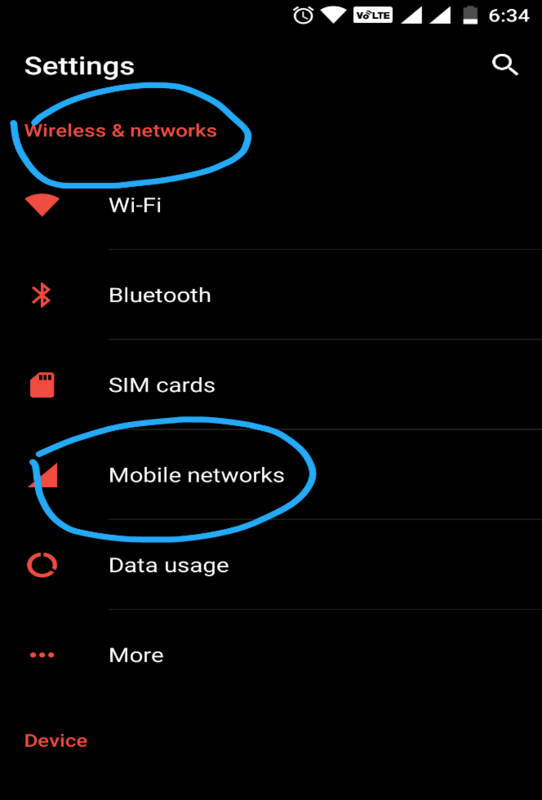 If you see the option of “Mobile Networks” there itself, then click on it otherwise click on more where you would find the setting. Once you open the Mobile Networks option, it might be searching for available networks, sit back a few seconds till the search completes. After that click on the option which says “Choose Automatically”. You may even choose a network all by yourself from the ones that are available to you. In either of the cases (d or e) that you chose you will have to restart your device once and then this issue would be gone. If the above methods do not resolve your issue, then my friend, you’ve got some serious problem (:p). In such a situation is might be possible that your device had received an update and you may have ignored it unknowingly which may be hindering your Network settings. So, try updating your device, and there are high chances that the issue would be resolved. For updating your device, go to your device’s settings and click on system updates, download if you have any. This error or issue of “MOBILE NETWORK NOT AVAILABLE” may become a pain but it can be resolved with a few tips and tricks that are mentioned above. The methods mentioned above have shown positive results many times but if it still doesn’t work out for your device, hand it over to your device’s nearest service station and get the error resolved.